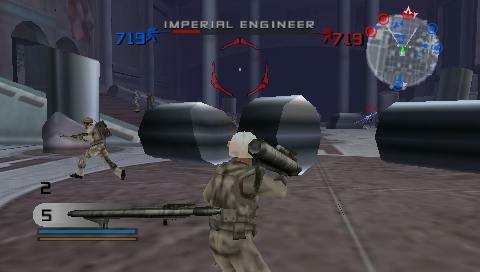 A number of things were taken out of the port of the second Battlefront game to the PSP. However, game modder Broadus managed to uncover this material, which was not present in the final game, but left in the game’s coding. 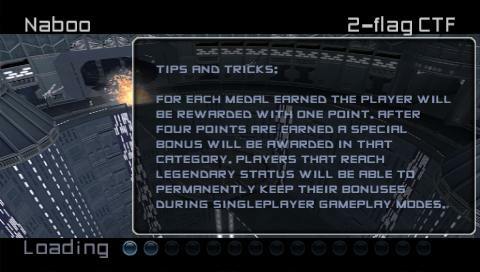 Seven levels were not available in the final game: Coruscant, Geonosis, Utapau, Jabba’s Palace, Felucia, Kamino and the Death Star. The last three of these are not playable, whilst Jabba’s Palace loads but remains unplayable as well. 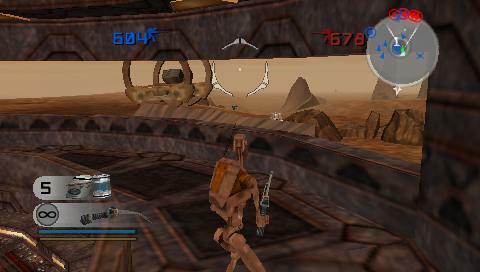 Geonosis: available in later games such as Renegade Squadron, this vast level includes usable vehicles and gun turrets. Utapau: again, a large and complex level, with vehicles for both sides. Coruscant: the main Jedi temple, which is very reminiscent of the level in Force Unleashed. Playable Jedi characters were supposed to be available. Jabba’s Palace: includes the Rancor pit. Death Star: unusuable, according to Boardus, but the above loading screens seem to indicate the tractor beam control area. No screens exist for Felucia or Kamino at present. Thanks to M!573R_X for the screenshots. More screenshots by Schnippshly can be found here. Article by Cybertriffid! Having poked around the guts of the game a bit more, I’ve located at least one character that has not been used in the PSP game (modded or otherwise): the Sith Lord. I’ve posted screenshots on the above link. Jabba’s Palace level can now be played by using Boardus’ mission.lvl file in an unmodded version of the game. This now adds five of the original eight deleted levels back in to the PSP version fo the game. @Edward Kirk excuse me where can i find this “Boardus’ mission.lvl” file? It doesn’t help that I spelt the name wrong in my previous post: it’s Broadus, not Boardus. I’ve updated my site as such. 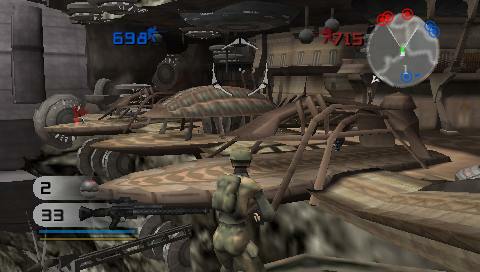 Using the shell.lvl file from the PS2 version, many of the space levels can now be accessed. They lack any floors in the hangars, though, making it difficult (if not impossible) to get to the spaceships. 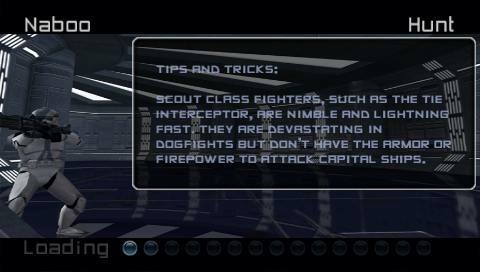 The space campaign missions for Yavin and Kashyyyk can also be played, using a CwCheat code. Where is the broadus mod?